From steamed pork buns at J-Pan to bibimbap in Gulf Gate, here are the 5 best things our panel of food experts ate this week. J-Pan's char su pork buns. 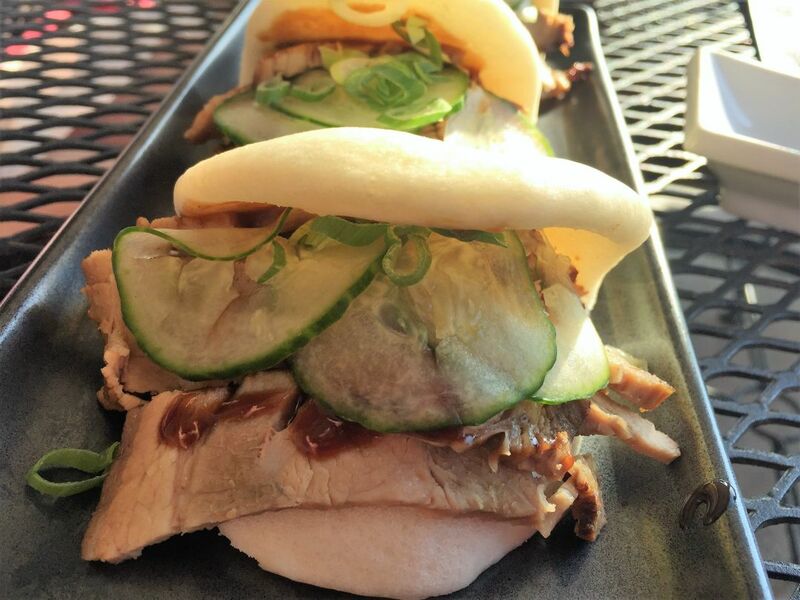 The char su pork buns at J-Pan are phenomenal: tender, melt-in-your-mouth pieces of pork are packed into house-made steamed buns with scallions and sliced cucumber. They come three to an order; have them with J-Pan's delicious sushi and you've got an amazing meal. Could these steamed buns be a hint of what's to come at the new J-Pan across from the Mall at University Town Center? If so, we're in for some fabulous dining! Selva Grill’s pan con pato ($6) on its lounge menu is just the thing to tide you over during cocktail hour: three sliders on baguette bread, filled with super-juicy duck confit, doused in its own gravy and topped with criolla onion. Prepare to get messy, and you won’t even care. It’s like what Thanksgiving leftovers taste like in heaven. When Chutney's owner Ash told us he'd included coconut flan--a new dessert--with our triple combo dinner, we did what any sane person would do: we ate the flan first. That was a good choice--the coconut flavor, along with the baked custard and sweet caramel sauce, are perfect partners, and the creamy, soothing texture would be especially divine after one of Chutney's signature spicy meals--if you can wait that long to dive in. Every Saturday, the back of Oriental Food & Gifts in Gulf Gate turns into a cafe, offering up a delicious menu of pan-Asian favorites that begin at $3.99. Our favorite? The bibimbap, a combo of rice, veggies, roasted seaweed, a fiery pepper paste and a fried egg whose gooey yolk coats everything in the bowl. We wish the cafe was open every day of the week.